← I’M sick of Exercise. Has received funding from Queensland Health in the form of a research grant in the past. We are funded by CSIRO, Melbourne, Monash, RMIT, UTS, UWA, Canberra, CDU, Deakin, Flinders, Griffith, La Trobe, Murdoch, QUT, Swinburne, UniSA, UTAS, UWS and VU. PANACEA OR PLACEBO – A weekly series assessing the evidence behind complementary and alternative medicines. Aromatherapy is based on the idea that aromatic substances, usually the essential oils of plants, can change how people feel or have an effect on the symptoms of various conditions. Aromatic substances can be delivered through massage, direct inhalation, or diffusion into the air. People have used essential oils for medicinal purposes for centuries: Chinese traditional medicine uses aromatic plants; the ancient Romans used aromatic plants in their baths; and there are records of Greek doctors using them as far back as the first century. But the modern practice of aromatherapy as we know it now is only about a hundred years old and probably began with a French chemist, Gattefosse, who published a study about his use of lavender oil to treat his burnt hand. Different oils are claimed to have different effects on anxiety, agitation, nausea, pain, hair loss, dementia, hypertension, concentration, sleep, depression and infant colic, among others. But much of the research in this area is of poor quality and contradictory. Often, the recommendations found in aromatherapy texts are based on anecdote or clinical experience rather than strong evidence. The best known and most investigated uses of aromatherapy are for conditions such as anxiety, agitation, stress and nausea. But the mechanism, if any, by which these actions occur remains controversial. One idea is that scent activates the olfactory system (responsible for our sense of smell) which triggers the brain’s limbic system. This in turn may produce emotional responses and enhance the retrieval of learnt memories connected with the scent. 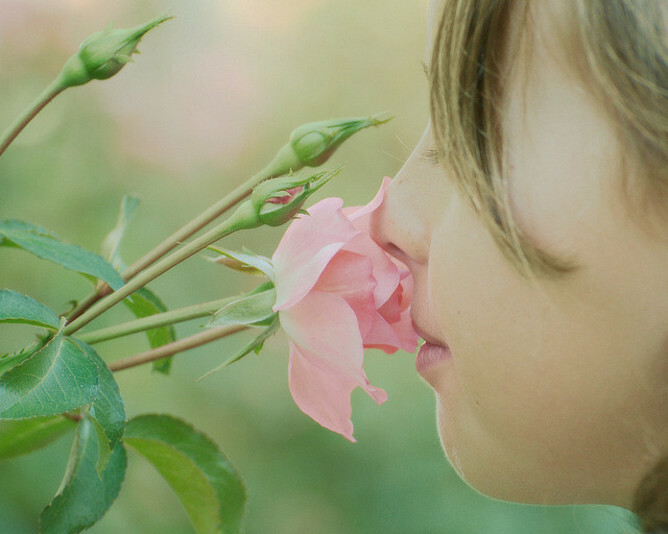 Research has shown that our response to scent is cultural, in that people of particular cultures often perceive different scents as being pleasant or unpleasant. Our response to scent is also able to be influenced by the prompting of researchers, and is dependent on the participant’s perception of the scent, which of course makes assessing cause and effect more difficult. When participants of one study were exposed to certain scents and had their responses recorded through functional MRI brain imaging, researchers saw activation in the areas of the brain responsible for emotions. Although this is interesting and could point to evidence of an effect, this study was small and did not report its methods well, so it’s hard to know how much weight to put on it. 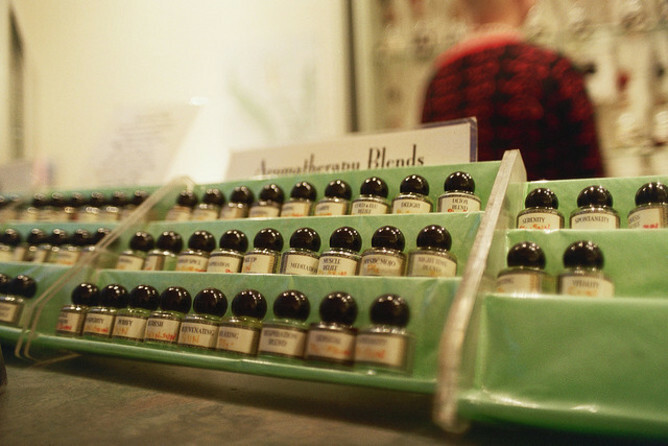 There are a few well-conducted studies that show aromatherapy may be effective. Laboratory studies using animals have shown that some aromatherapy preparations cause observable changes in biochemistry. In humans, a small pre-clinical study of aromatherapy using healthy volunteers showed a measurable reduction in stress hormones in saliva samples when lavender and peppermint aromatherapy were given following a stressful event. But these results have yet to be reflected in strong clinical studies and, more importantly, in systematic reviews, the highest level of clinical evidence. Statistical pooling, or meta-analysis, of study results can help us to understand the overall effectiveness of an intervention much more clearly than a single study alone. Some systematic reviews have found weak evidence of an effect for aromatherapy for some conditions such as the behavioural and psychological symptoms of dementia, and post-operative nausea and vomiting (although this was with a non-traditional aromatherapy product). One systematic review found convincing evidence of an effect for the use of massage with lemon balm (Melissa officionalis) oil for agitation associated with dementia, however this was based only on one randomised controlled trial. When studies of aromatherapy are subjected to close scrutiny, and the results combined, there is no convincing evidence that the therapy works. But this may come down to a shortfall of well-designed randomised controlled trials, which provide the best experimental evidence when studying a therapy.